Following a recent trip to London’s newly built, Coal Drops Yard (CDY), I have been pondering the subject of ‘retail experience’ and how it has changed in recent years. To give some context CDY is a high-end shopping complex in Kings Cross that, for me, epitomises the contemporary retail experience. 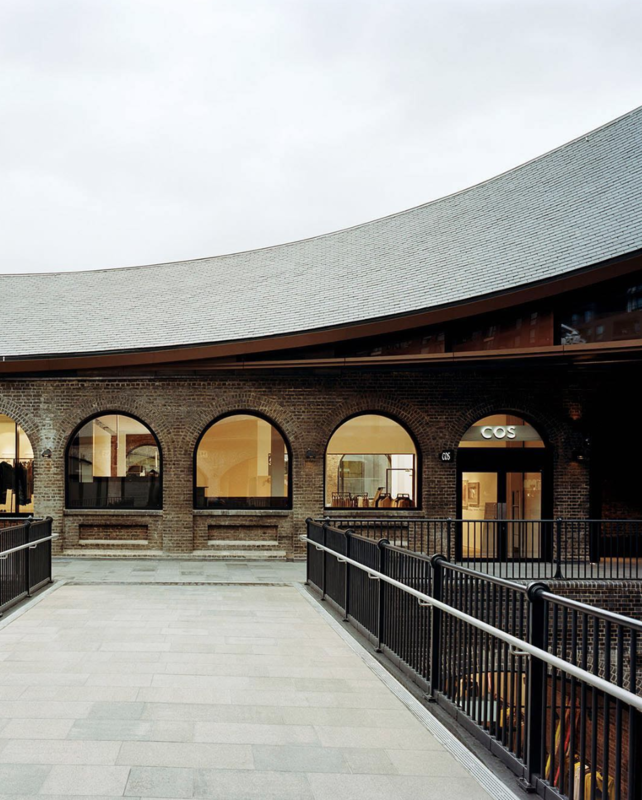 Formed out of two long Victorian coal sheds, the complex houses a thoughtful selection of luxury retail outlets such as Aesop, COS and Fred Perry, as well as a collection of newcomers such as Beauty Stack and Beija London. "Rather than worry about the future of retail, we wanted to capture the spirit of shopkeepers and go back to a time of passion, skill and service when people would live and work above their shops. So if you come here you might bump into Tom Dixon grabbing his coffee at Caravan, or Paul Smith serving in his shop on a Saturday. We’re only working with brands that have the ability to be creative and enrich people’s experiences in some way." Craig White, senior project director for CDY goes on to explain that the shopping complex is not about consumption but about delighting the people that visit. The progressive rhetoric surrounding CDY seems to suggest that the high street is not dead, as others have suggested, it might just be having a makeover! "Products are displayed rather than stocked and shop interiors resemble something closer to art galleries rather than traditional retail spaces." Bespoke interiors adorn each concept store with displays notably complimenting or contrasting with selected products. Each highly considered space offers potential customers a conceptual and sensory brand experience. Carhartt WIP have lined their walls with a tactile, duck brown canvas that effectively communicates the brands use of hardwearing materials, utilitarian design and durability. Raw concrete product displays offer contrast against the canvas walls, whilst continuing their brand aesthetic. Within COS, white walls and work from emerging artists occupy space that would once be used to stock products of every size. Exclusive ceramics, books and beauty products sit alongside COS’s garments and everything from lighting, use of materials and incense work to offer consumers a truly creative and holistic brand experience. Cubitts offer a made-to-measure bespoke service for their glasses, Face Gym has an instore facialist offering treatments and there are a host of brand workshops available to book onto. Everything felt individual and yet communal, considered yet subtle; I enjoyed the artisan coffee on arrival and revelled in overall immersive experience. Whilst I failed to fork out on the overpriced tea towel I was eyeing up, I did walk away with a dozen Instagram posts, a ‘must-buy’ shopping list and a yearning to share my experience with anyone that would listen. What if the new role of retail space is not necessarily about persuading you to buy, but about introducing you into each brands world through education, sensory experiences and social gatherings? Bricks and mortar must offer a compelling alternative to shopping online to survive, which is exactly what CDY does. Studio 1850 offers a bespoke brand vision service that helps form clarity around customer experience. This covers everything a potential customer might experience, from business cards to instore art direction. To book or enquire please contact us here. For more brand experience inspiration you can follow us on Instagram, Pinterest and/or read more on the Journal.